Mention lasers and most people think of a Star Wars type of device that blows up things. The fact is that lasers are all round us, performing tasks we take for granted. From reading the disc in your DVD player to aligning the wheels of your car, lasers are everywhere. One of the most important uses of lasers is in medicine. Having your dentist aim a laser into your mouth may seem frightening, but it is safe and a very effective form of treatment. That’s why it is FDA approved. A laser is basically a form of energy delivered via a beam of light. In dental and surgical procedures it works to cut or vaporize the tissue it comes into contact with. It is cleaner, safer and more precise that traditional cutting tools like scalpels. It also acts as a heat sources which works to enhance the efficacy of tooth whitening agents to provide for whiter and shinier teeth. Lasers also help to make filling stronger and more durable by curing the filling material more effectively. New applications and uses for dental lasers are being constantly developed. Reducing the discomfort of cold sores and cankers in the mouth. Improving the teeth whitening process. Treating gum disease and removing inflamed or infected gum tissue. Reshaping gum tissue and bone during crown lengthening procedures. Removing excess muscle and tissue that impedes proper jaw movement. Removing excess tissue growth that some medications may cause. A reduction in (or complete avoidance of) the amount of drilling that may be required. A reduction in the use of anesthesia. Greater precision in application as compared to traditional cutting procedures. A reduction in the amount of bacteria in the mouth, thereby reducing the chances of infection. The possibility of preserving healthier tooth during cavity treatments. Reduced discomfort both during the procedure and in the healing process. Of course, there are also limitations on where and how dental lasers can be used. 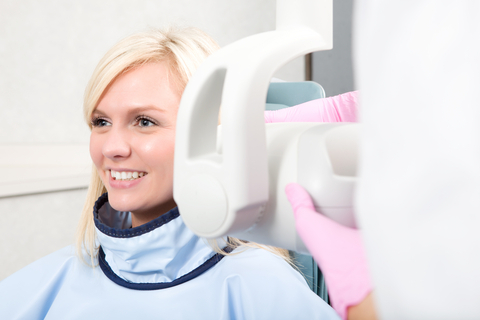 Your dentist will be able to advise you about why a laser may not be the appropriate treatment for your dental problem. If you are wondering if a laser is the best way to treat your dental condition, talk to a dentist who is trained and experienced. He will be able to tell you about the pros and cons of laser use and the kind of results you can expect. Remember, there is nothing to fear. A laser is just a very efficient tool at a dentist’s disposal.